Whatever it is... 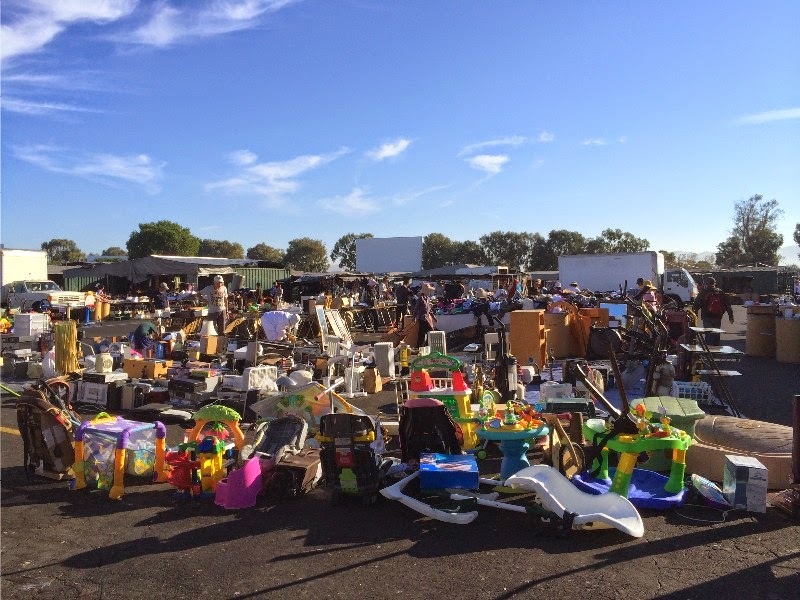 I just haven't been interested in flea markets lately. Sadly... it's easily the most popular topic on this blog. My Flea Market Finds posts garner nearly 50% more views than other posts. But just like you can't force a woman into loving you. You can't force a guy into loving the swap meet. Unfortunately... that's the only thing I walked away with. I saw several dealers with sports memorabilia, but either the price wasn't right or it was stuff I didn't want. I'm giving the flea market one more chance tomorrow, since my buddy asked me to go. But don't be surprised if you see less and less Flea Market Finds posts on this blog. I've just lost that lovin' feelin'. Very cool find. I've been trying to cut back on the flea market trips. I always tend to find *something*, but I'm well past the point of having the space to even display the stuff I already have, let alone new additions. It's just like buying new cards or collecting generally -- sometimes you have to step away for a while to let the desire, the interest, the spark come back. It's better to take a few weeks/months off and then see if you miss it than to try to force something. Great advice. I hope the desire comes back quickly. Walking around flea markets has always been one of my favorite things to do. Mad magazine rules. I have a friend of mine in his 40's still has a subscription to the magazine. A few years ago, one of my students had a fundraiser for something and he was selling magazine subscriptions. I bought a Mad Magazine one. Outside of that... I don't think I have bought a new issue since the mid 80's. Bummer about the flea markets. 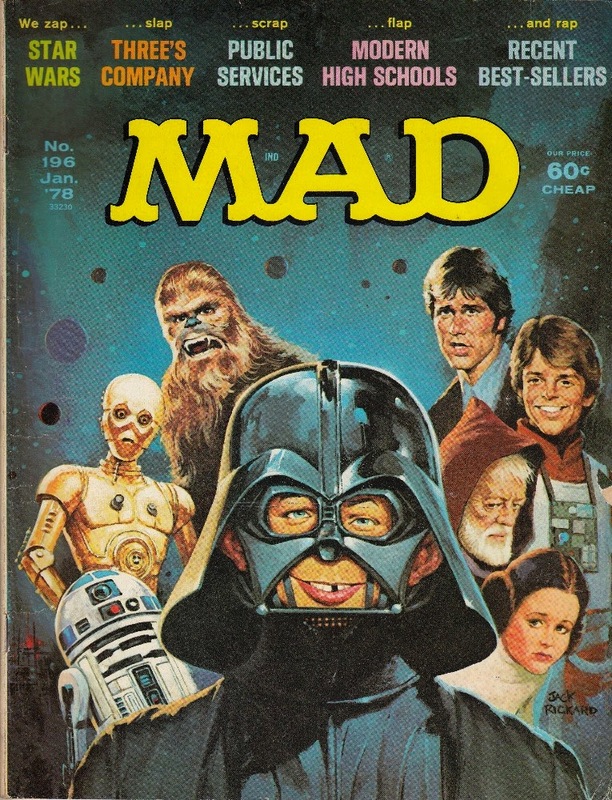 I have a box of Mad's from the 1970's. I'd probably take a buck a piece for them at this point. $1 CHEAP. If shipping wasn't crazy... I'd probably take them off your hands. That sounds like a lifetime of bathroom reading. Totally in agreement with the "no room for stuff I really don't need" angle. It's good to hear that I'm not alone. Like several have said, sometimes stepping back from some purchases is a good thing. Lately I've taken to putting items on my watch list or 'in my cart' at online places I buy from and going back in a day or too with a fresh perspective. More often than not I've decided that I really didn't need it. That's why I have so few 'new' things to blog and am digging up old postcards and stuff. I need to try adding things to my "cart" and letting things stew for a few days. Great strategy. As for those postcard posts... they're awesome. Keep 'em coming. Great pick-up. I used to love reading Mad Magazine. I don't know if you've noticed, but have you seen actor/director Ronnie Howard lately? He looks just like Alfred E. Neuman. Lol. After wrapping up these comments, I'm off to Google Mr. Howard. Oh yeah. I can see it. I've been feeling the exact same way lately. I'm starting to run out of room with all the stuff i'm picking up. I find myself walking away from things I'd normally pick up at flea markets and I've been walking away, leaving empty handed. I've been doing that for several months now. But the "lack of enjoyment" feeling is completely new. Hopefully things will change in the near future.